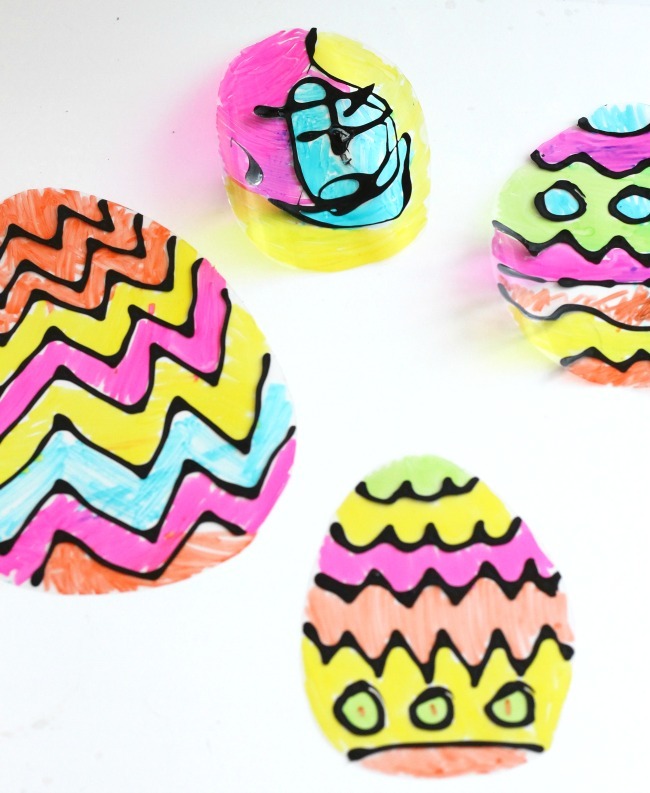 Are you looking for colourful Easter crafts to do with your kids? Maybe not. Maybe adding colour to everything this time of year is just me. Yesterday I was telling Madeline how I would love her to make some nice and bright art for our home. I had asked her to do this for me last winter as well! She has become quite the artist, this girl of mine. She said the problem is that we don’t really have a lot of wall space. Of course! The windows! The reason I am always seeking colourful art by late winter is because of ALL of our windows! In the spring and summer everything is so vibrant and green, so our feels so nice and bright (and I forget all about the artwork!) But in the winter with everything so white and grey outside, our house begins to feel rather drab. So I decided I would do some nice and bright crafting to hang all over our windows. I will simply pretend those nice and bright colours are truly coming from outside – because they really will be friends! In just a short time. Since Easter is just around the corner, I thought we would make some nice and bright Easter crafts to hang in the window. We made these beautiful Easter Eggs using black glue (which is just regular glue and paint, I’ll explain below) and sharpies and YOU GUYS!!! They are perfect! Not only do they look beautiful in the windows, they actually cast a colourful light onto the ground when the sun shines through. So colourful! 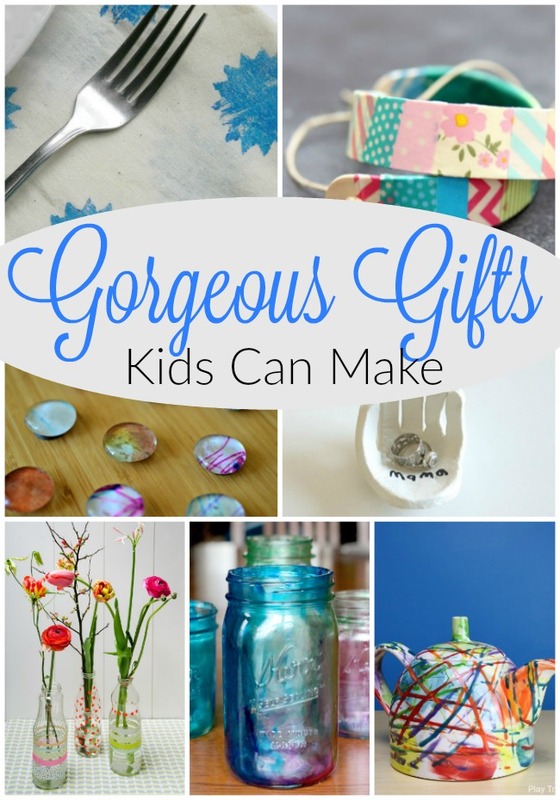 Better still – super easy and fun to make. 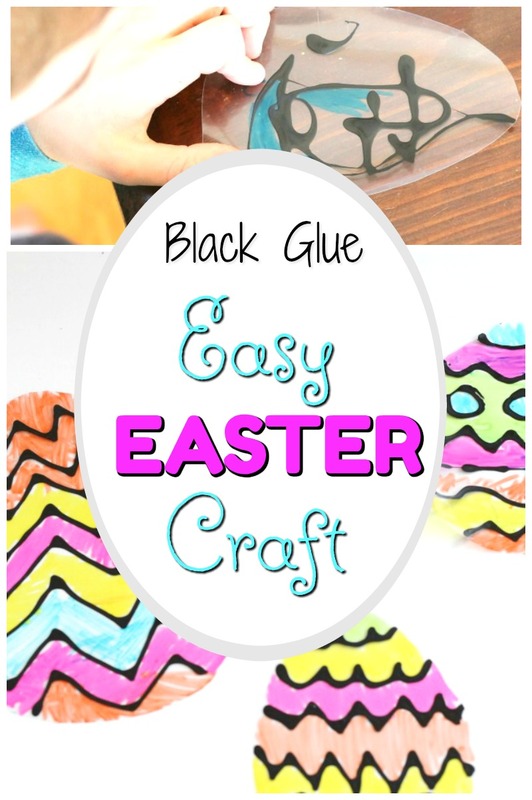 To begin this Easter craft, we made the black glue. I had an almost full bottle of white glue and I added about one tablespoon of black paint. I made sure the lid was on tight and then passed it to my boys and had them shake, shake, shake. 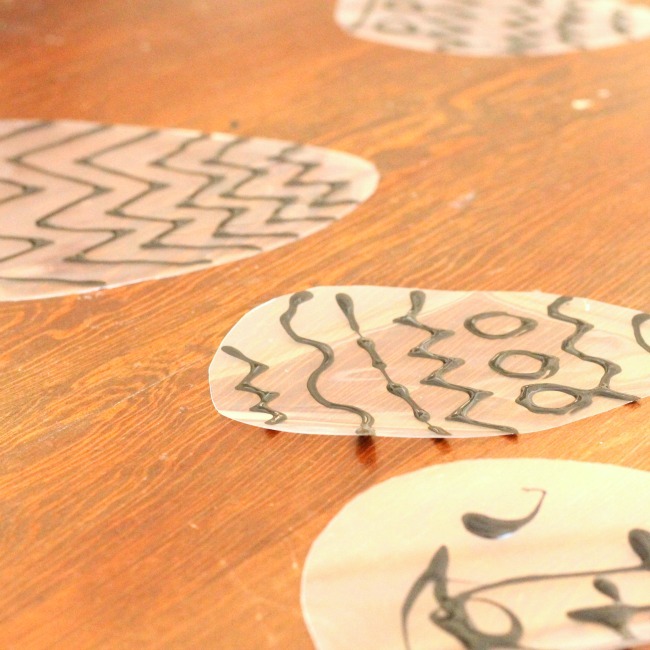 As they were shaking, I cut out some Easter egg shapes from the clear page protectors of different sizes. 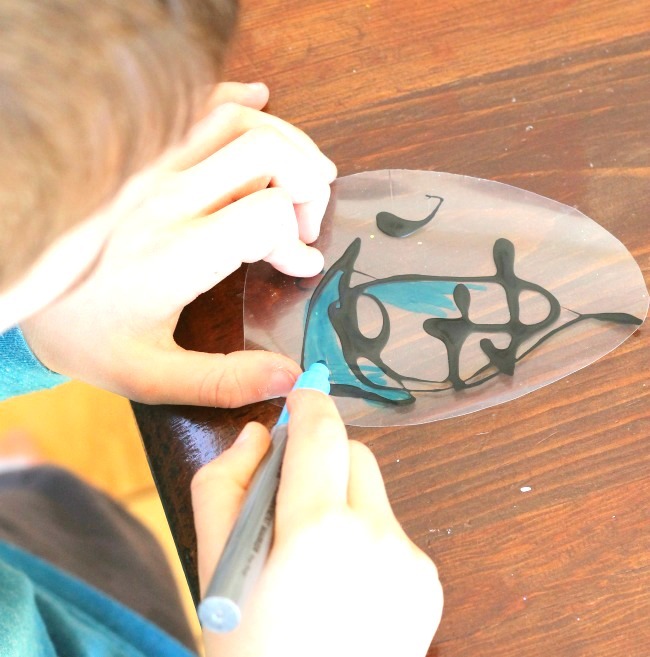 Once the glue was well shaken, we took turns drawing some designs on the Easter eggs. 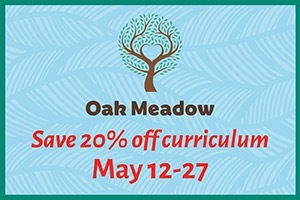 Squiggly lines, zigzags, circles, or just a wild-child design! We let these dry for awhile. I think we waited about an hour – maybe two. Finally, we made them COLOURFUL! I pulled out our Sharpies and sneakily hid all of the ones that were not bright and cheery. The boys coloured them in with all sorts of colours. They turned out so pretty and sunny! We hung them in the window next to our Tissue Paper Easter Eggs. 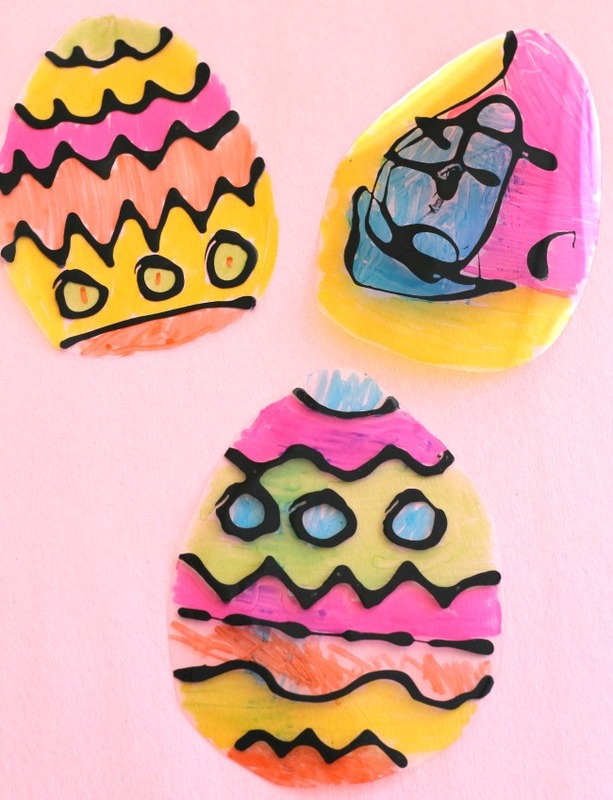 This Easter craft is truly special as it looks as though it is stained glass. The beautiful colours shine onto the ground adding even more colour to our still wintry-bland home. I can’t wait to find even more colourful crafts to fill up these windows of ours. We are bring that colour back friends! Want to join us? 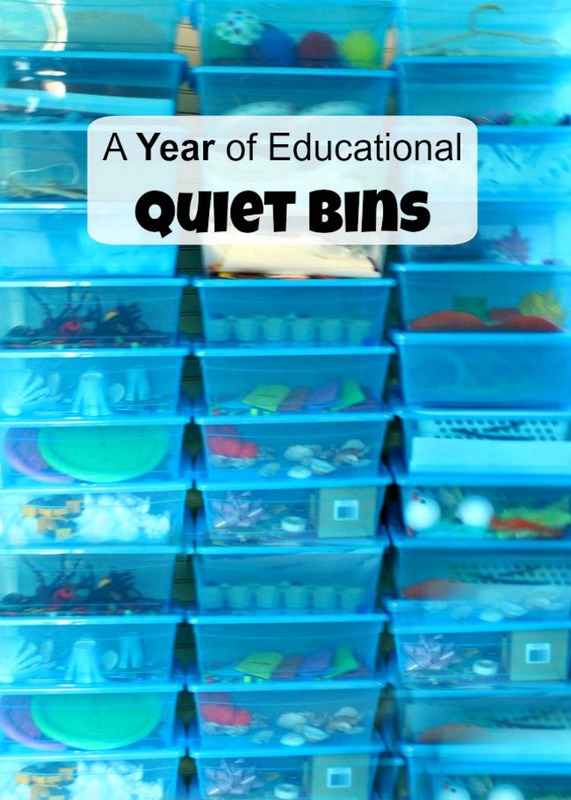 Thank you so much for reading – I have more colour-filled fun heading your way Thursday friends.